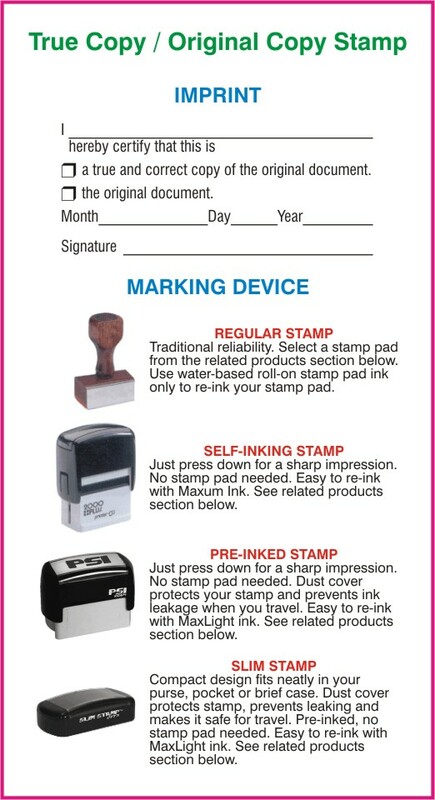 This stamp is used to mark a document as a certified true copy or certified original document. 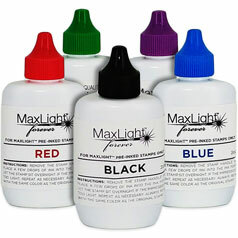 For general office use. 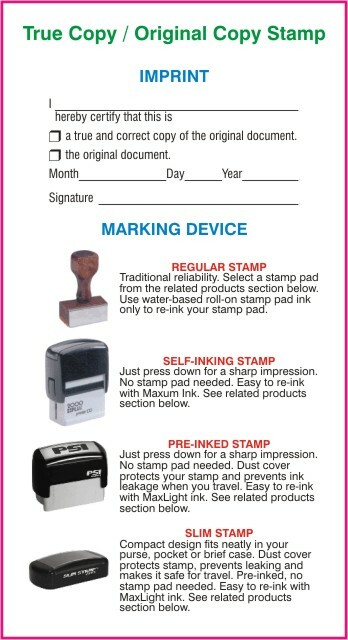 If you are a notary, please see certified true copy stamps under Notary Supplies.